Sheffield-based, part-time or full-time, negotiable hours, including opportunities for commission, £17,550 – £25,000 per annum pro rata. Plus 28 days annual leave including Bank Holidays, Travel & Company bonus scheme. Must have previous sales experience. To apply please send your CV and a cover letter sharing your enthusiasm and eligibility for the role to Felicity Jackson at flick@weareopus.org and quote reference USJ on your application. Have you got experience in selling newspaper adverts, directory listings or local magazine advertorials over the phone? 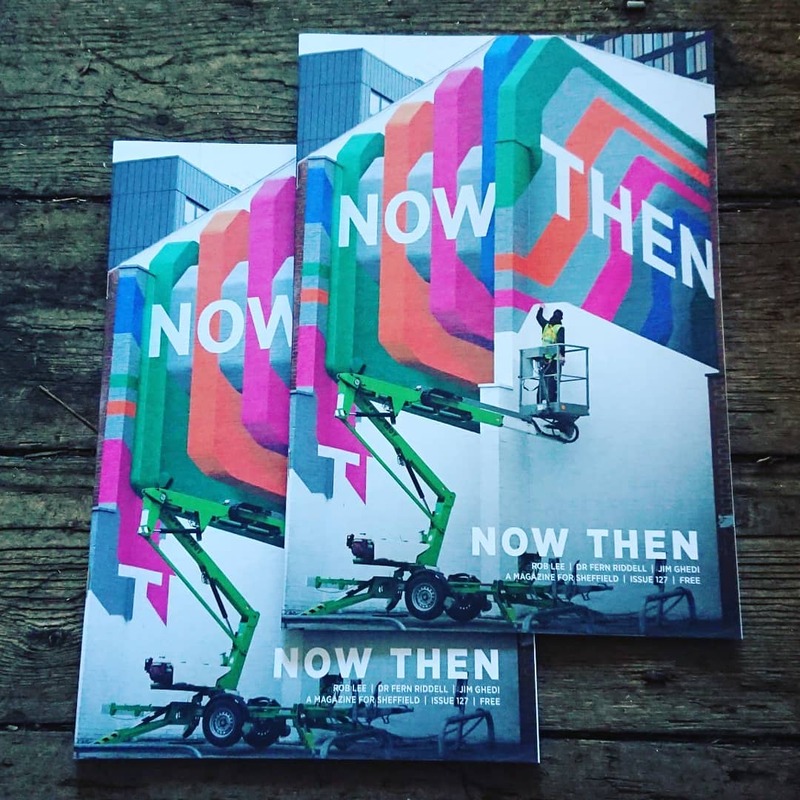 Opus Independents, the publisher of Sheffield’s Now Then Magazine, is seeking to recruit a confident sales person with an interest in/knowledge of the city’s independent shopping and socialising scene. Established for over ten years, in a recent survey Now Then was rated as Sheffield’s favourite free magazine. You will be the first point of contact for all new clients where you’ll be selling advertising opportunities alongside some of Sheffield’s best known and most loved brands. You’ll be working as part of a small team as part of an organisation which is a Living Wage employer. We offer flexible working (including a 9:30am start) from our Sheffield office just outside the city centre. If you can bring dedication, enthusiasm and sales know-how to the job, we’d love to receive your application. Opus is behind some of Sheffield’s most recognisable media and event brands: Now Then Magazine, Festival of Debate, Wordlife and Opus Distribution. We are looking for a brand ambassador to sell the full suite of sponsorship and marketing opportunities that Opus offers. As a company that works exclusively with independent traders, community groups, charities and local government, we are looking for someone who shares our values. You’ll be building relationships with independent traders, charities, arts organisations, promoters, campaigners and education establishments. You’ll need excellent communication skills – both verbal and written – an outgoing personality, drive, tenacity and a sense of wanting to make a difference. Our offer includes traditional magazine advertising, digital, sponsorship, print distribution and social media promotion. Any experience in those fields would be highly advantageous. No two days are the same, you’ll split your time between our city-based office and out in the field. You’ll need to build rapport over the phone, in writing and in person. You’ll be empowered with the autonomy to approach clients as you wish, so being proactive, meticulous and self-sufficient is a big advantage. You’ll be part of a small, friendly team who are on-hand to help you achieve your targets in any way they can. Sales and marketing experience is a distinct advantage but a can-do attitude and approachable demeanor is crucial. Opus is an accredited Living Wage Employer (currently set at £9 per hour) with the potential to earn a commission/bonus upon hitting realistic sales targets. If you love Sheffield and are passionate about promoting independent trade, arts and citizen journalism, this could be the ideal job for you. Positive, enthusiastic, compassionate & environmentally conscientious. Passionate about Sheffield arts, politics, music, culture and independent trade. Passionate about the local independent business ecosystem & seek to positively impact it. Software skills and ability to use Microsoft Office or equivalent. Knowledge and understanding of sales and operations planning processes. Experience of business-to-business telesales and/or face-to-face sales. Confident in initiating and undertaking digital and face-to-face networking. Good standard of numeracy & literacy evidenced by qualification or standard of work. Can drive and has own car. Experience of film production and editing.